What is the MAGIC FUNDRAISER? The magic fundraiser is a program designed to raise money for schools. 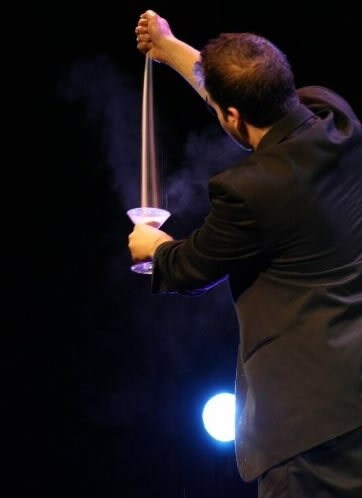 The show comes to the school during a weekday evening and performs a 60-minute MAGIC SHOW to the children and parents of the school. The bulk of the work is completed for you as we do everything from advertising to selling tickets to your schools community. We provide you with posters, flyers and more promotional material that are produced at high quality. You will also receive the FUNDRAISER KIT which contains pre-written announcements to read, ticket request forms and more. The money in which you receive is raised through ticket sales from performance itself. HOW IS IT FREE OF CHARGE? As for the financial aspect of it, it’s very simple. Just for hosting the fundraiser, your school makes 50% of the ticket sales from the show, the other 50% goes towards the show’s production, its staff and proceeds also go to our charity. $10/average ticket price ‘x’ 300 seats sold =$3000.00; a profit of $1500.00 for your group! Keep in mind, ticket prices vary from school to school. You can choose what you would like to sell tickets for. Also, you can make money from concessions before the show and during intermission or by having a pre-show BBQ; the possibilities are endless and all proceeds from this are 100% yours to keep! Once the show is complete, you’ll receive 50% of the ticket sales (the average school last year received $900+ for just one evening). There is absolutely no charge or cost for this show; if by some remote chance that the show has a poor turnout (very unlikely), you have nothing whatsoever to worry about! 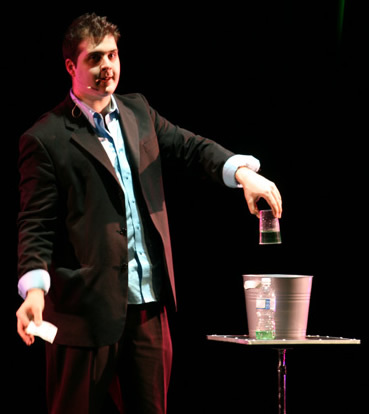 This amazing program started as a touring magic show that travelled all over Eastern Canada with the STEP-BY-STEP FOUNDATION in 2004. We helped raise thousands of dollars and great awareness for organ donation in every city we visited. The tour ended in 2006; since then we have developed the program in benefit for schools all over the Ottawa and the surrounding region, as we are based here in the nation’s capital. SOUNDS GREAT, MICHAEL - WHAT DO WE NEED TO DO? 1. Provide a facility; 2. Promote the show; 3. Pocket the profits. My performance can take place in a school gym, auditorium, theatre, recreation complex, arena, community centre ... in short, anywhere that you can comfortably seat 100 or more people with room for the show. That takes care of the facility. As for Promoting the show and Pocketing the profits ... upon booking you will receive the PROJECT GUIDE, which is filled with EASY, SIMPLE yet UNBELIEVABLY EFFECTIVE METHODS that are PROVEN to work! everything you need comes to you, ready-to-wear, in the project GUIDE. Contact us to learn more about this amazing program!